For the price of a cup of coffee with a girlfriend, you could be TRACKING your menopause symptoms, creating a TREATMENT PLAN and measuring the effectiveness of your plan with a simple ANALYSIS of Trends. myPause was created by women for women, to help you get through the inevitable trial-and-error period with treatments more efficiently so that you can get back to enjoying life. Note: Information in myPause is not to be considered medical advice. It is only provided as a framework for discussion with your healthcare professional. Track exercise, nutrition, and body progress on-the-go! Auto-syncs with your DailyBurn account. 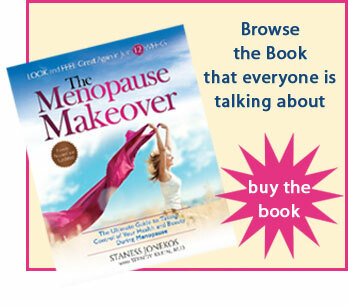 Get the newest information on menopause FIRST! · Is Vaginal Dryness Out of the Closet? · Do Menopause and Alcohol Mix? · What's your percent of body fat? · Will Your Marriage Survive Menopause? · Sleep and Your Body: Are You Catching Enough Zs? Copyright © 2006 - 2019 The Menopause Makeover®. All Rights Reserved.